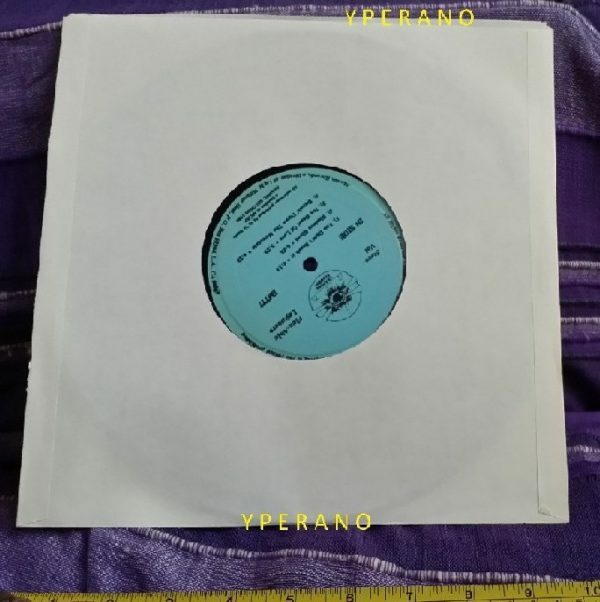 Original scarce 1984 Akashic Records (IM777) 10″ LP, sleeve, disc & insert are lovely near mint condition !!! STEVE VAI Flex-able Leftovers (1984 US 8-track Urantia Records 10″” vinyl LP, housed in a 10″ picture sleeve complete with lyric insert. 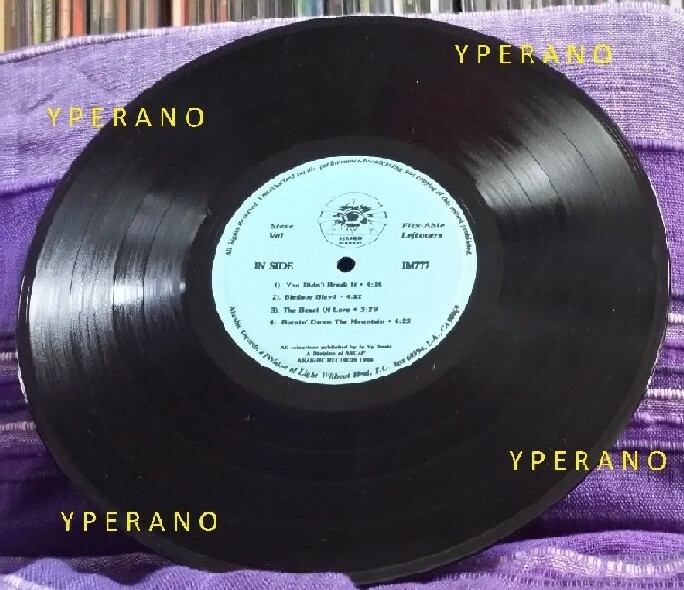 This copy is still in the original shrink and therefore shows no signs of age, the vinyl is also immaculate. 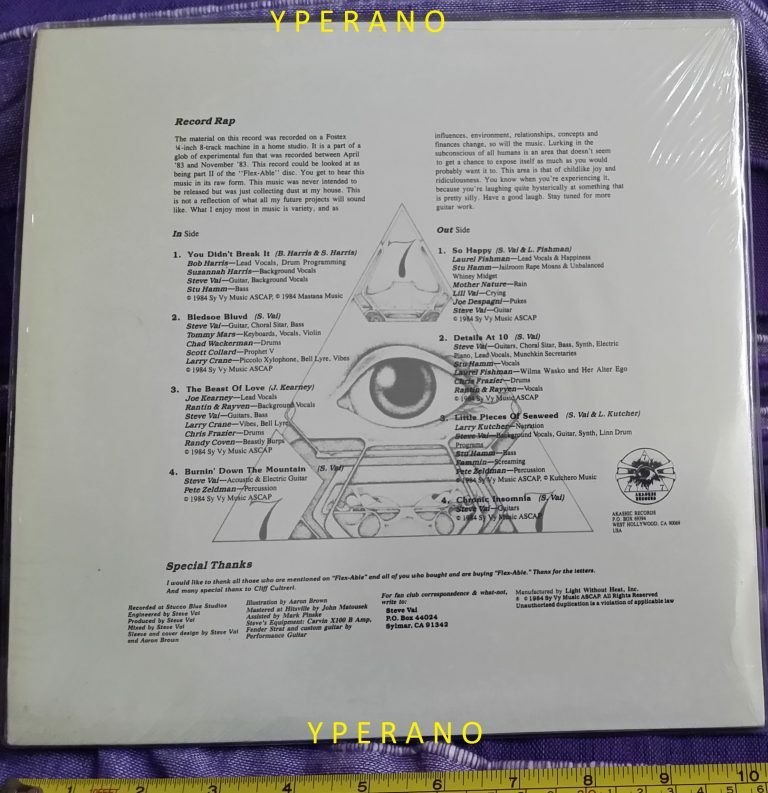 As a bonus this copy comes with the Steve Vai Newsletter #1 – Revised’ IM77). 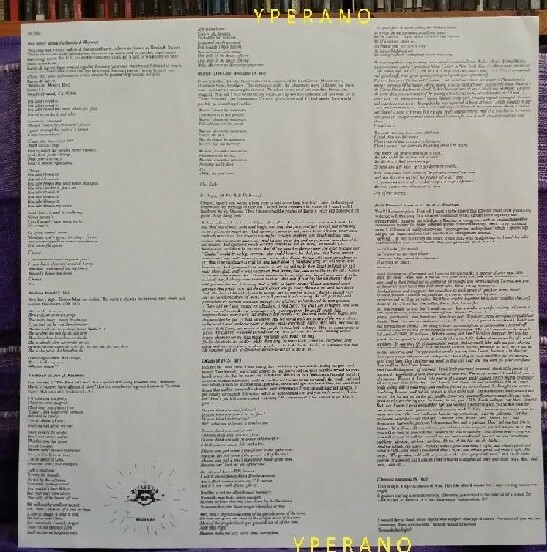 Steve’s second album was originally available on limited edition 10″ vinyl through mail order only, is now long out of print and quite rare. 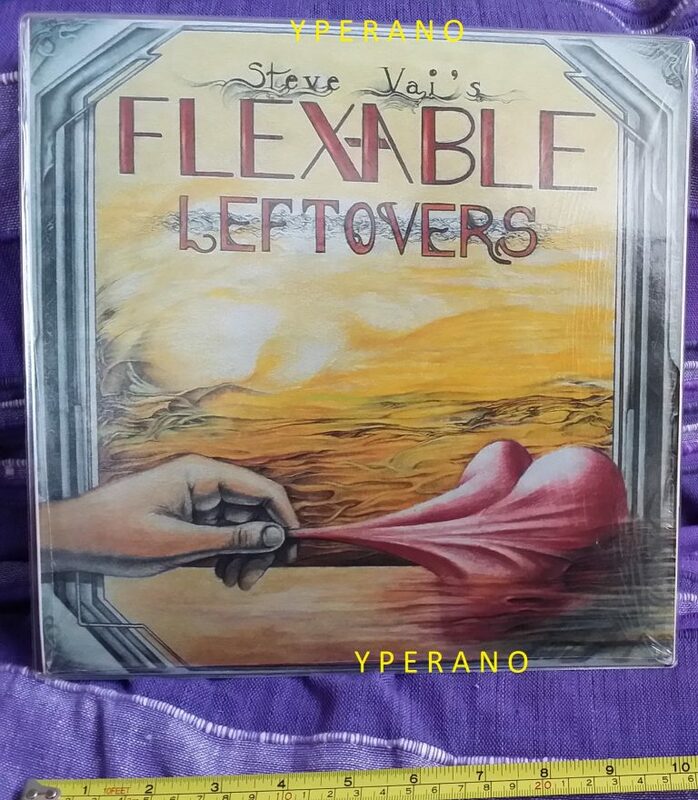 Flex-Able Leftovers was a limited edition 10″ vinyl EP by American composer and guitarist, Steve Vai. It was leftover material from the recordings done during the “Flex-Able” days (1982 to 1984) and originally released in 1984 with a different artwork and limited to 1000 copies on Akachic Records. 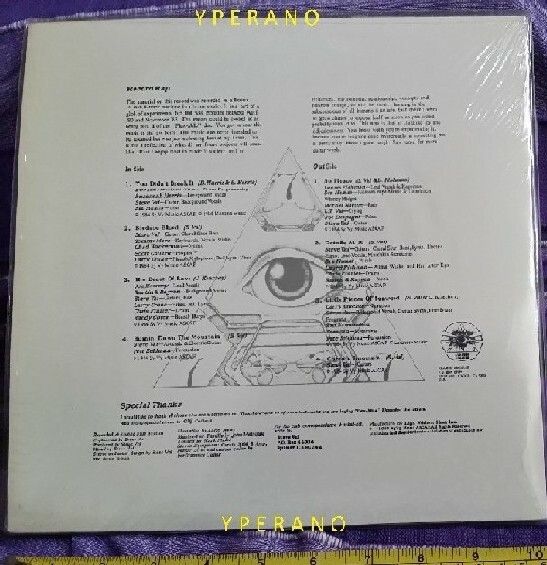 “The material on this record was recorded on a Fostex 1/4 inch 8-track machine in a home studio. It is part of a blob of experimental fun that was recorded between April ’83 and November ’83. 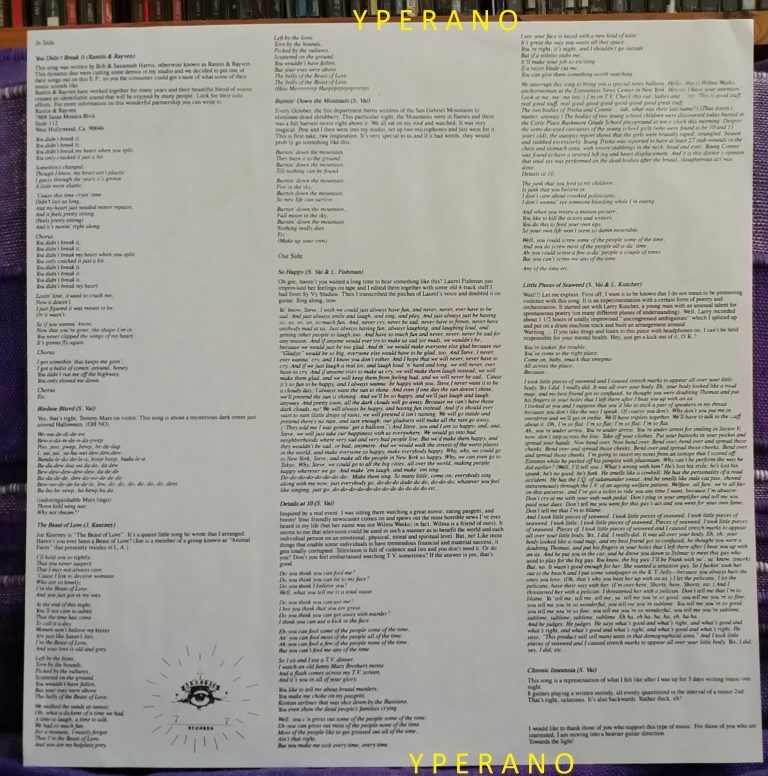 This record could be looked at as being part II of the Flex-Able disc. This music was never intended to be released but was just collecting dust at my house. 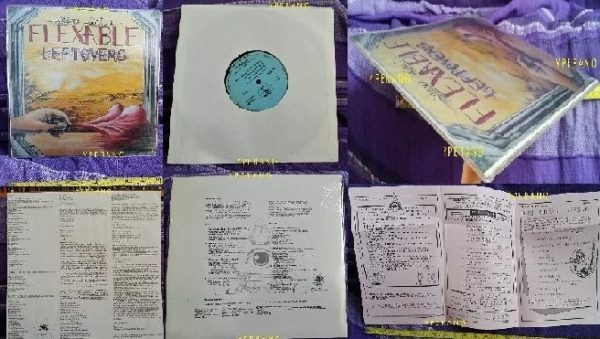 The creative concept for Flex-Able was to release it on Evatone Flexi-discs in a trilogy of a three disc package, hence the name Flex-Able. 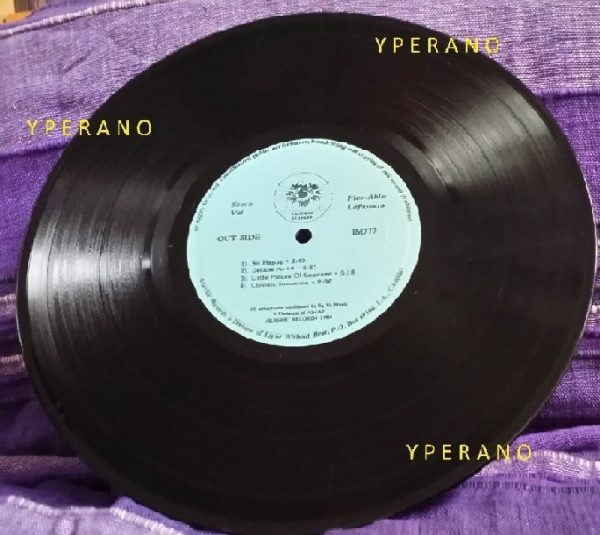 But then that idea was supplanted with the realization that it could actually be released as a full length, vinyl record. Heck, it could even end up in stores! 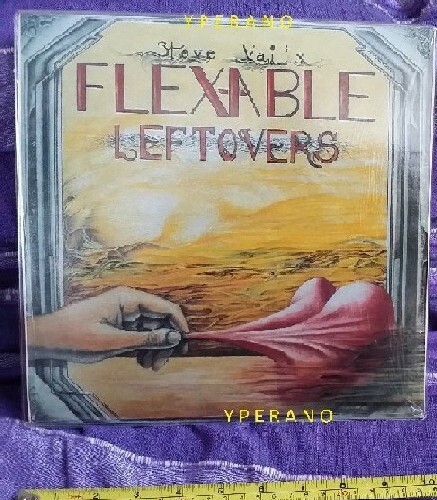 Flex-Able was recorded and there was so much stuff left over from those days, I put a little record out — a 10-inch EP called Flex-Able Leftovers. It’s a weird little offspring. 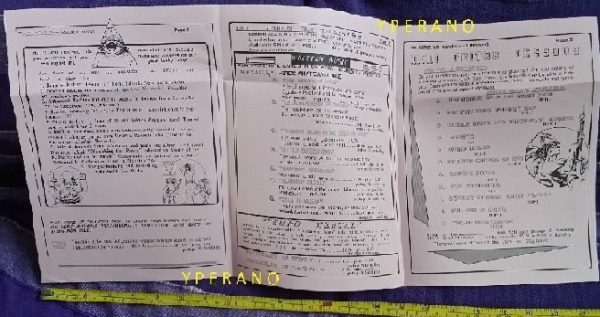 I only issued 1000 copies. Steven Siro Vai (born June 6, 1960) is an American guitarist, songwriter and producer of italian origin who has sold over 18 million albums. Vai recorded and toured in Zappa’s band for two years, from 1980 to 1982. He began a solo career in 1983, has released solo albums and wonGrammy Awards. He has also recorded and toured with Public Image Ltd., Alcatrazz, David Lee Roth, Whitesnake, G3, etc. Vai’s playing style has been characterized as quirky and angular, due to his technical ability with the guitar instrument and deep knowledge of music theory. He regularly uses odd rhythmic groupings and his melodies often employ the Lydian mode. Perhaps his most readily-identifiable stylistic feature is his creative use of the floating vibrato, using it to add melodic lines that sound odd to the ear. His playing can be described as lyrical, as if sung by a human voice. SKU: YP-8643 Categories: All Genres, Hard Rock, Search by Media Type, 10"